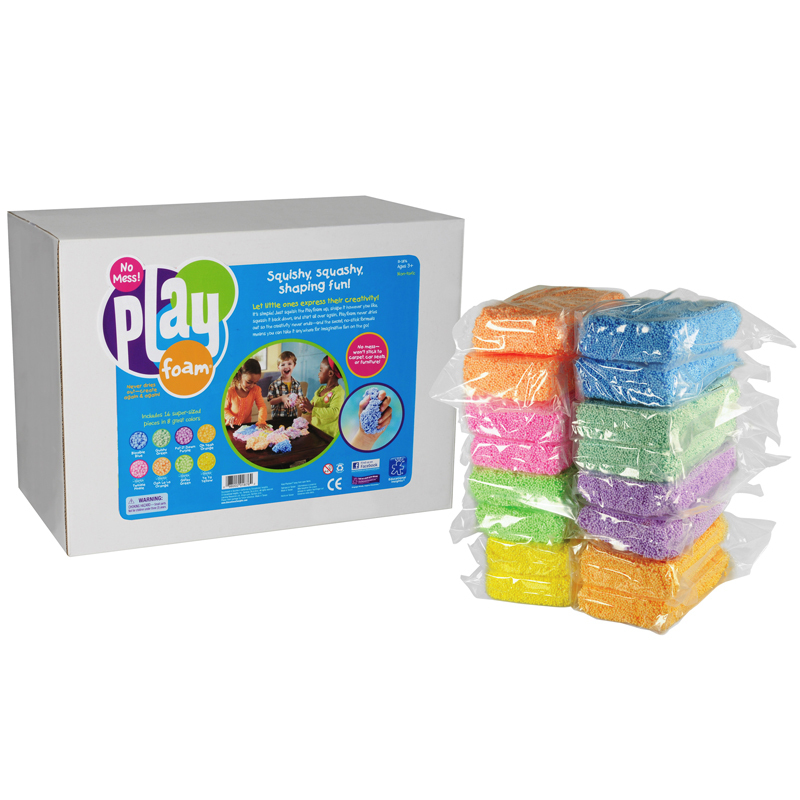 The Playfoam Class Pack can be found in our Foam product category within the Arts & Crafts. 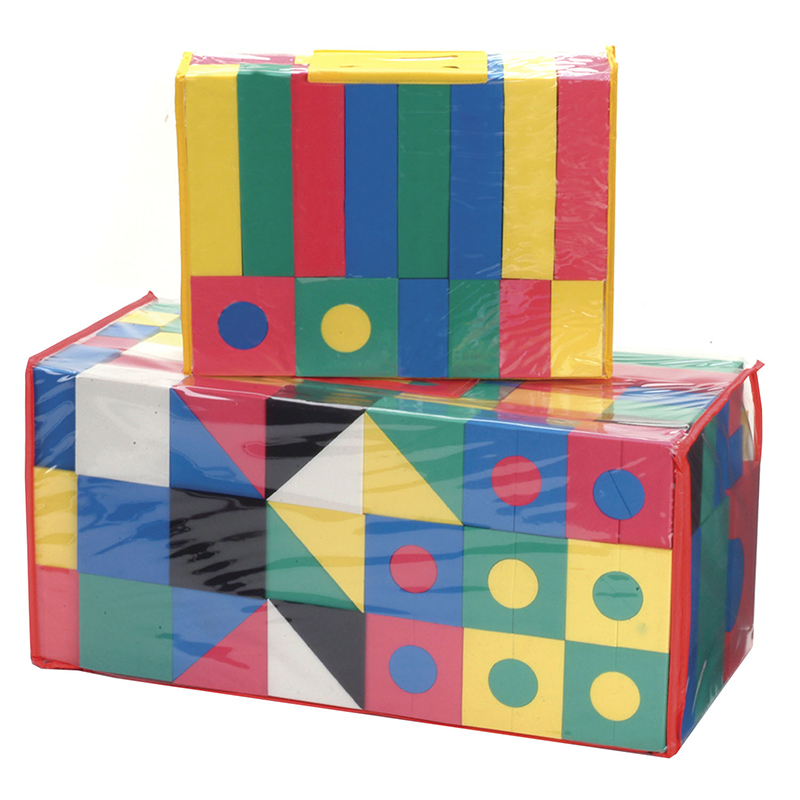 The whole class can get in on the fun with this super-sized Playfoam set that includes 16 giant bricks in 11 fun colors: yellow, blue, green, orange, purple, pink, white, and gray, PLUS sparkle pink, orange, and blue. Each color comes in a zip-closed bag, and the entire set comes in a sturdy storage box. Perfect for creative play, art centers, lessons, party activities, and more. Finally! Preschoolers are free to express their creativity, with no mess to clean up afterward! With this super-sized set, you can squish up the Playfoam. Shape it however you like, and then squash it back down and start all over again! 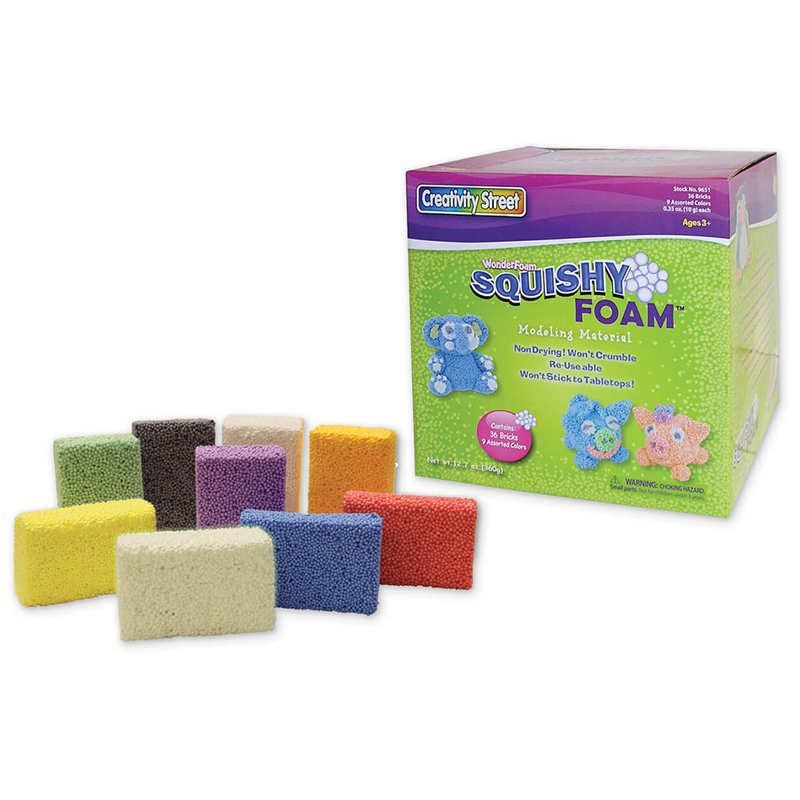 No-stick Playfoam is perfect for sculpting squishy, squashy creations anywhere and anytime! And Playfoam never dries out, so the creativity never ends! Sculpting with Playfoam encourages creativity and self-expression, provides tactile and sensory stimulation, and develops fine motor skills! Perfect for the classroom or a party! 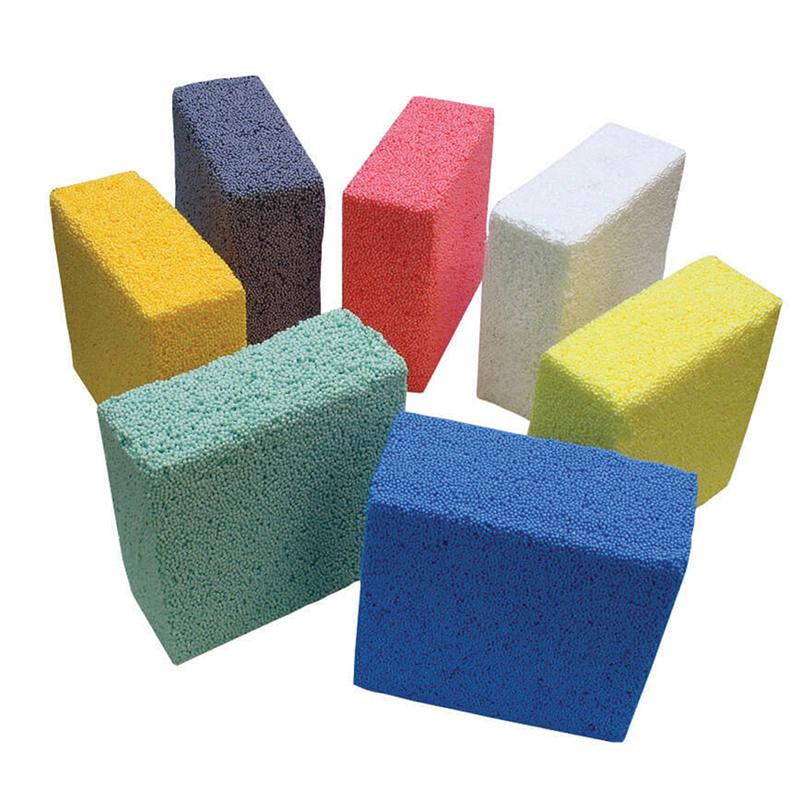 Includes 16 huge Playfoam bricks in blue, green, orange, and purple; and sparkle green, orange, yellow, and pink. These foam sheets have a convenient peel-and-stick adhesive on the back, and can easily be cut up and stuck to a variety of smooth surfaces to create unique arts and crafts projects. Sheets are 9" x 12". 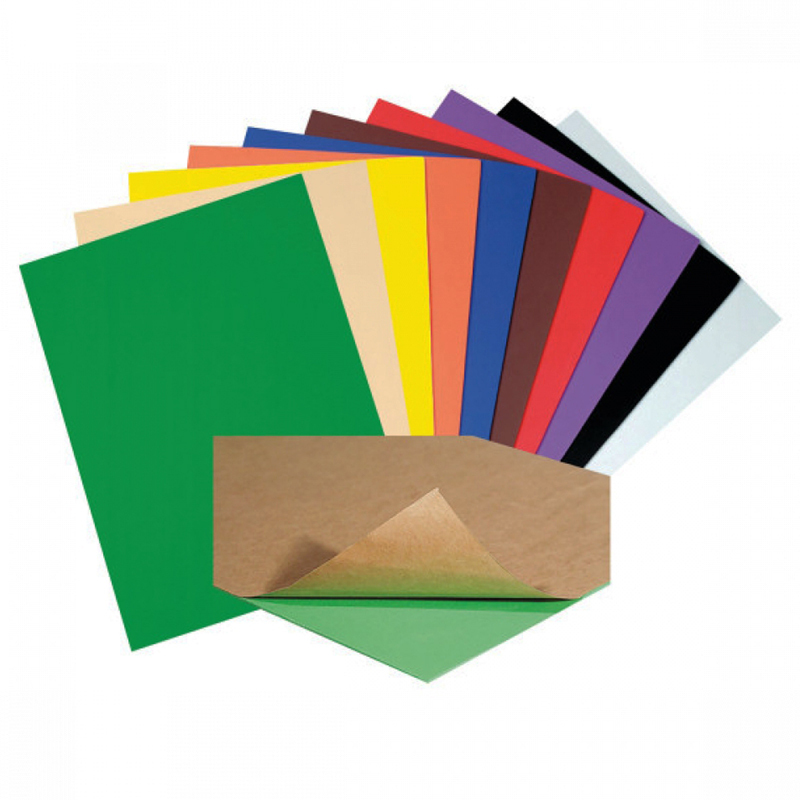 Each pack includes 20 sheets in assorted colors. Being a preschool teacher it’s nice to have another sensory media besides the ever-present play dough and the now questionable gak, (or slime). 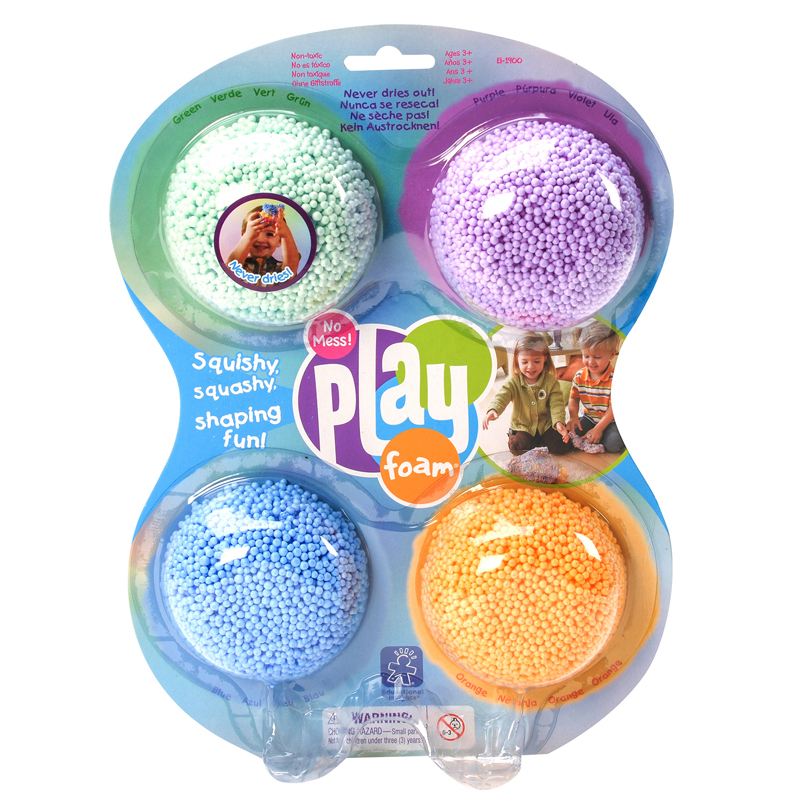 The “floam” as we call it came in individually wrapped bags by color. Kids love it! It sticks to itself well, but comes off clothing easily, unlike gak. It’s a gluten free product unlike most play dough. The msds information doesn’t alarm our preschool parents, unlike the borax in the gak. We usually add cookie cutters, golf tees, or plastic accessories-animals, snowflakes, etc. It does leave a sticky residue on the table when fresh out of the package, but cleans up with our sanitizer and paper towels.